Anyone with acne knows that clear, healthy skin starts with clean pores. While there are plenty of products out there to cleanse from the surface, there are a handful of exercises that can work to stimulate the detox process from within in the body, making for a gentle way to take care of yourself and your skin! It probably goes without saying, but when the body is healthy, everything benefits, from our immune systems to our mental condition to our complexions. Working up a good sweat can cleanse pores of excess sebum and debris, and getting that heart rate up will not only increase blood flow, delivering oxygen to your cells - skin cells included - but can also encourage the function of the liver, eliminating harmful toxins from the body, from within or on the surface. Additionally, regular exercise has been known to lower stress levels, which means good things for anyone with hormonal acne. Yoga. Yoga makes for a great way to stretch, tone, and build lean muscle, and when it comes to your skin, the benefits go even deeper. Because yoga focuses on the breath it has been known to lower stress levels and stabilize blood sugar and insulin levels, which can make a big impact on anyone experiencing hormonal acne. Most communities offer donation-based classes too, so if you’re looking to explore the benefits of this ancient practice just look around your neighborhood for a studio near you! Pilates. Pilates is a group of exercises that helps you to condition your body in way that enables toning, strength building (especially core strength), flexibility, balance and body realignment. There are five principles of pilates: breath, concentration, flow, control and precision. In practicing pilates, you can learn to put these principles into practice both during exercise and in your everyday life to keep stress levels low, inviting patience and acceptance in. Qigong. Much like yoga and pilates, qigong works to connect the body and mind through the flow of the breath, and because of the meditative element involved it is a great way to lower stress. Widely accepted as an important form of alternative medicine, qigong is known to enhance the immune system by working to improve the cardiovascular and digestive systems, both of which aid in detoxifying the body. Light cardio. It’s no secret that cleansing the pores of excess sebum and harmful debris will go a long way in maintaining a bump-free complexion. By getting the blood circulating with some cardiovascular exercise, you can work up a sweat to eliminate harmful waste and toxins from the body through the pores. If you’re going to run or bike it out, however, don’t push it too hard, as too much intense exercise has actually been known to stimulate testosterone production, a hormone that can affect the sebaceous glands. If cardio just isn’t your thing, you can still purge those pores with a nice, gentle steam, which makes for the perfect prep before treating the skin to a clay or DIY facial mask. You can find our favorite, simple and effective pore cleansing herbal steam bath recipe here! If you’re going to add a gentle workout to your skincare routine, it’s important to take a few simple preventatives and post-work out measures to ensure the best results for your complexion. Always be sure to remove makeup before you get started, and do your best to avoid touching your face or hair with your hands while working up a sweat. After you’ve finished, take care to wash your face, body and workout clothing to reduce the risk of clogging the pores. And as always, stay hydrated! Drinking water can also promote detoxification, so be sure to drink up! It’s important to keep in mind that tips such as the ones listed above can go a long way in alleviating symptoms, but don’t actually do anything to address the cause of acne - which starts from within. The only way to truly treat acne is to target the problem at the source, which is the impact of the hormones on the sebaceous glands. Fortunately, this is exactly what AcnEase works to do. Acne is a usually the result of a hormonal imbalance, which occurs from within. 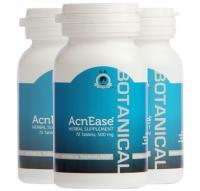 Our AcnEase® users are able to experience how a treatment can act as a buffer between the hormones and sebaceous glands so that the sebaceous glands can return to normal activity. The botanical ingredients that make up the various AcnEase® treatments were selected based on years of research and trials as the safest and most effective combination to not only eliminate existing acne symptoms but also prevent new acne from forming, no matter how severe. It is the only natural treatment on the market that PREVENTS acne (with a 96% user success rate), which is KEY to the process of breaking the acne cycle. We want to hear from you! 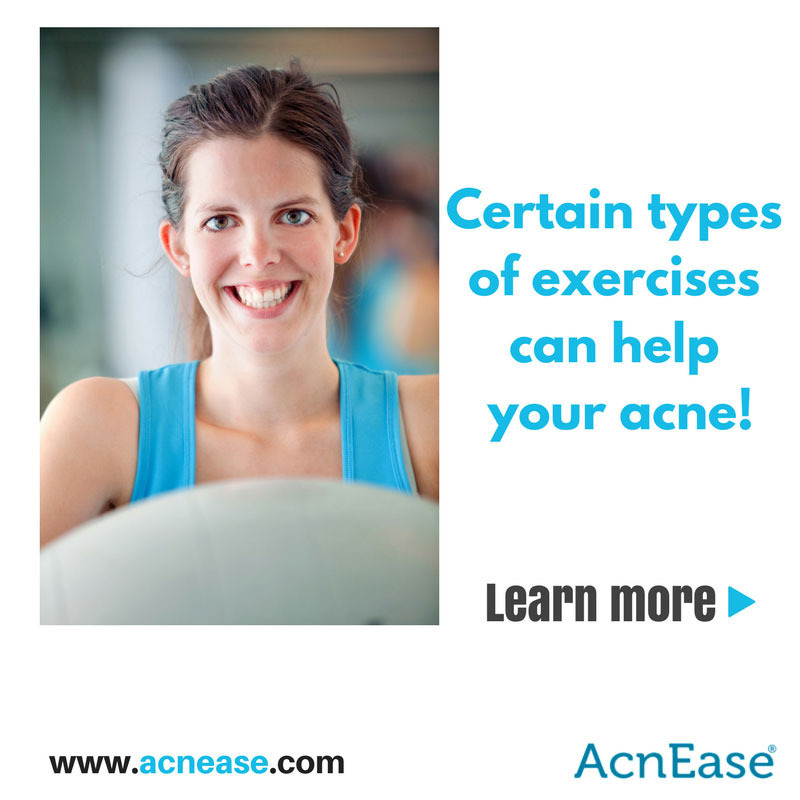 What are some of your favorite workouts for acne-prone skin? Are there any that you’ve noticed makes your complexion worse? Tell us in the comments!